The royals are not impressed with the spiced honey meade wine. 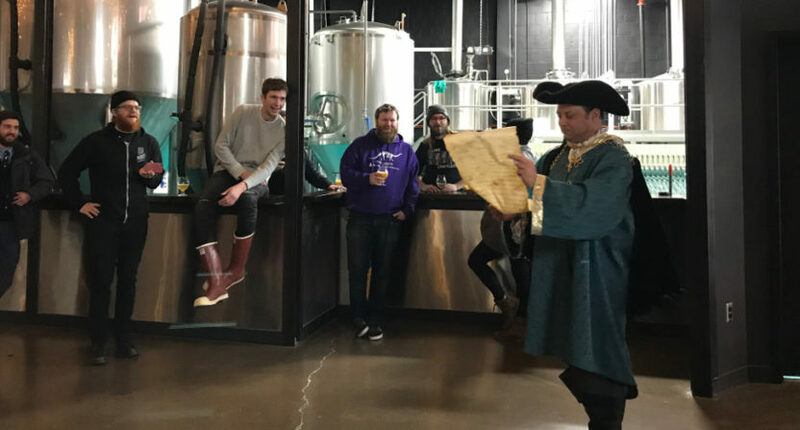 Inspired by Budweiser’s cryptic but popular catchphrase, Minneapolis microbrewer Modist Brewing Company produced a “Dilly Dilly Mosaic Double IPA.” But as “Dilly Dilly” is trademarked and Modist were using the phrase without consent, Bud Light took action to protect its intellectual property… by sending a guy in a medieval town crier’s costume to Modist’s offices, where he read the cease and desist letter off of a handwritten scroll (video). Of course, a typical cease and desist letter is unlikely to be humorous, let alone read from a scroll by an actor. But for any rights owner considering an intellectual property infringement or passing off case, the practical considerations are likely to be the same. Firstly, the potential claimant must ascertain and demonstrate that they have valid rights to the intellectual property in question. In respect of trade marks, if the mark is potentially too generic or descriptive, the claimant may be required to prove that the rights were validly registered in the first place, which is likely to be expensive. Any rights owner is encouraged to keep records of relevant advertising, positive press, and consumer reputation regarding the goods or services covered by the trade mark. Secondly, a claimant must gather evidence of the infringer’s activity. When bringing a claim before the Intellectual Property Enterprise Court in the United Kingdom, the claimant will need to plead the evidence in the particulars of claim. Evidence could include trap purchases of counterfeit goods, or emails from a consumer who is confused between the goods offered by the claimant and the infringer. Once satisfied that the infringer is indeed using protected intellectual property without consent, the claimant must then consider their desired outcome. This will influence the strategic approach of the action, to include the tone of correspondence and fees management. Under English law, as part of the civil procedure rules a claimant has the duty to approach potential defendants and set out the dispute clearly. It is best practice to attempt to settle the matter without litigation if possible, for example by entering into a trade mark co-existence agreement. For Budweiser, they could have easily chosen to seek damages or costly litigation against Modist. Instead, the PR generated by the scroll was both a deterrent to other infringers, as well as a promotion of Bud Light as a funny, relaxed, and approachable brand.